Having been blessed with some extra raw milk this week, I wanted to do something special with it. This recipe for ricotta takes only 1/2 gallon of milk. You may use store bought milk, but do not use ultra-pasteurized....it won't work, and the high heat process that ulra pasteurized goes thru has pretty much killed anything beneficial anyways. 1 In a large pot, bring the milk, buttermilk, heavy cream (if using), vinegar, and salt to a boil. Very gently boil for one to two minutes,(gently scraping the bottom of the pan to loosen any curds that may be stuck) until the milk is curdled. 2 Line a strainer with a few layers of cheesecloth and set it over a deep bowl or pan. I let the mixture sit in the pan an additional 15 minutes for more curdling action! 3 Pour the milk mixture into the strainer and let drain for 15 minutes. 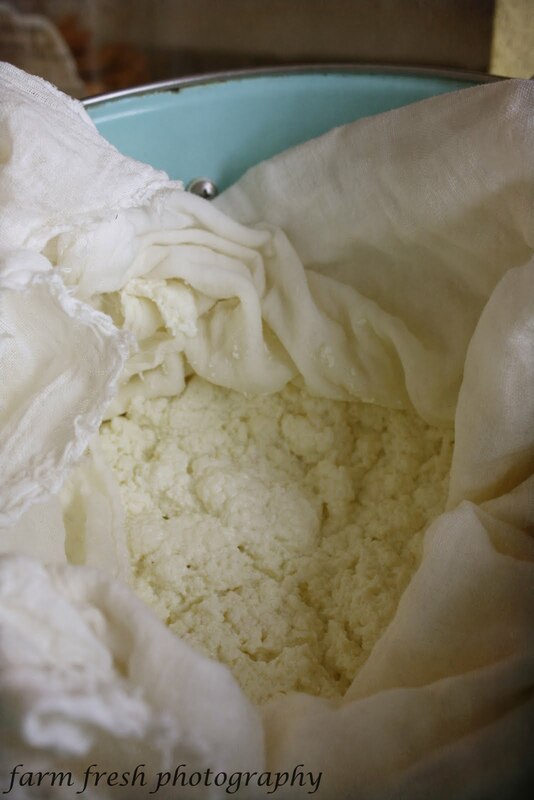 Gather the cheesecloth around the curds and squeeze gently to extract any excess liquid. Use immediately, or store for 3-5 days. The main reason I wanted to make the ricotta was to try this easy peasy recipe we saw on TV last week! This was SO good, and very simple to throw together. 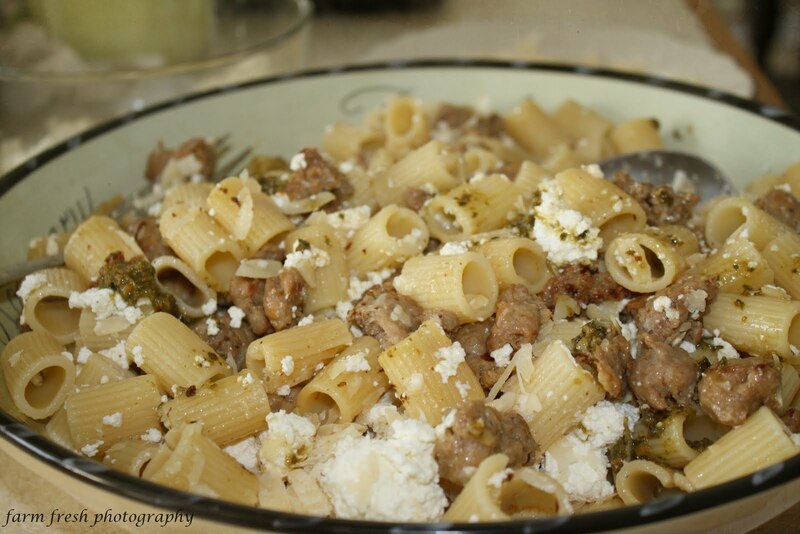 Pasta, italian sausage, ricotta, parmigiano reggiano, and basil leaves. So I used about 3-4 TBL of my basil pesto from my stash I have in the freezer from last summer. Thank you for this recipe!! I picked up 1/2 gallon of half priced raw milk today and was wondering what I could do with it! The pasta looks great too! Thanks for the recipe. Dave's been playing with cheesemaking here lately & has also make ricotta from the whey left over. Oh my goodness! this is awesome! Ricotta cheese is so expensive to buy, so this would be a money-saver! YUM! I might have to try that. I know I am going to try this! Thank you, so much!